In 2006, as the national chief of the Border Patrol, I welcomed the assignment of roughly 6,000 National Guardsmen to serve as a force multiplier to the then-9,000 Border Patrol agents on duty along the U.S.-Mexico border. It was the right call to make at the time. The influx of drugs, illegal immigration, and criminal organizations was overwhelming the agency, and cartel violence was at its peak on the south side of the border with Mexico. Some have criticized President Trump’s decision to deploy the Guard, but based on my own experience, these troops will be of tremendous benefit along the border. It’s also not a permanent solution. While the National Guard enhances Border Patrol’s interdiction capacities, the rest of the system will struggle to keep pace without comprehensive efforts beyond the Border Patrol. In 2006, the deployment of the National Guard, along with supporting equipment, brought a rapid increase and expansion of the Border Patrol’s capabilities. The Guard served a key role in non-direct enforcement work along the border, enhancing surveillance capabilities and increasing situational awareness. Importantly, they relieved agents of more administrative tasks so they could return to patrol and enforcement duties. The National Guard’s deployment was an immediate and symbolic bridge between policy and action—a confirmation of the nation’s commitment to grow the Border Patrol’s organic capabilities. 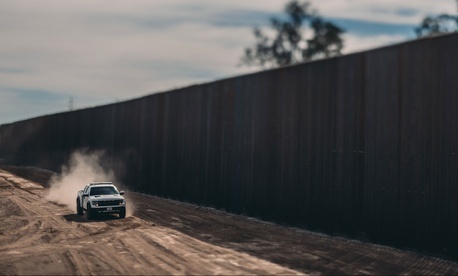 At the time, fences and infrastructure were being built, and Congress had appropriated funding to more than double the Border Patrol’s size and passed budgets necessary to acquire supporting technology. The 2006 National Guard deployment, appropriately called ‘Operation Jump Start,’ served a critical role in helping agents both in the field, as deployed surveillance units, and at bases, as mechanics and maintenance personnel, as those initiatives got underway. Since then, U.S. Customs and Border Protection has matured into the largest federal law-enforcement organization in the United States. Today, the Border Patrol has over 21,000 agents and is expected to hire thousands more. Fencing and barriers authorized by the Secure Fence Act of 2006 have also been erected, covering about 650 miles of the U.S.-Mexico border. Despite these gains, more needs to be done as challenges on the border evolve. Although the number of apprehensions has dropped compared to previous years, today’s flow is much more complex and resource-intensive. As a result, I believe President Trump’s call to deploy the National Guard to the border has merit. In 2006, Mexican nationals made up a majority of those crossing the border illegally. Processing and removal proceedings were relatively expeditious because of Mexico’s close proximity to the United States. But over the last several years, the Border Patrol has faced an uptick in nationals from the three Northern Triangle countries (Guatemala, Honduras, El Salvador), as well as a surge in unaccompanied children and family units. Processing of these individuals requires more resources. It has not only become more difficult to return them to their country of origin, but they must also be placed in formal proceedings. As a result, this particular flow of immigrants has the potential to quickly overwhelm border agencies. Last week, Defense Secretary James Mattis signed an order authorizing up to 4,000 troops to deploy to the southern border. Adding the resources of the National Guard will help in identifying, locating, and informing the Border Patrol in detaining immigrants who illegally cross the border. Yet even with the National Guard’s assistance, the logistical challenge of detention, housing, and efficient prosecution of these individuals in the U.S. immigration system remains and requires a more comprehensive solution this time around. There is no one silver bullet to securing the U.S.-Mexico border purely from an enforcement perspective. It’s a collaborative effort. Immigrants crossing the border illegally need to be immediately identified, detained, and efficiently placed into the nation’s immigration system. While some may be eligible for immediate removal, others may need to go before a judge. Immigration courts, however, are already overwhelmed with nearly 700,000 pending cases and not enough judges to hear them. Securing the border is also a transnational effort. I would be remiss not to recognize the crucial role Mexico plays in helping stem the flow of immigrants to the United States. In 2015, for example, Mexico deported more Central Americans than the United States, leading to a drop in U.S. apprehensions. While enforcement along Mexico’s southern border helps, it alone is not enough. Deployment of National Guard troops to support the Border Patrol and ports of entry will bolster enforcement efforts. Border collaboration with Mexico, enhancing detention, hiring more immigration judges, developing technology capabilities, investing in infrastructure build outs, and working with sending countries-of-origin all play a role in securing the border. Managing the border is a complex challenge. Congress and the administration must be comprehensive in their approach to border security. David Aguilar served as the commissioner of U.S. Customs and Border Protection. He is currently a principal and co-founder of Global Security and Innovative Strategies.